Awesome service & good quality food. Always consistent which is a big plus! Easter get together for family. Really enjoyed our total experience with food and service. One of the best times we have experienced in a while. Very comfortable dining experience. Food was great! We got the tuna stack appetizer & then I got the tomato & mozzarella salad with the onion straws & my husband got a huge house salad. All was very good! Service too! Excellent food and superb service! Great atmosphere. It was a breeze to make reservations @ Open Table. Recommend a table vs. a booth. Great time. Food and service are exceptional. We love Stoney River! Great food and drink! Typically I would give 5 stars, but my steak was slightly overcooked. First time to Stoney River as ot was highly recommended by friends as a celebration for my Dad's Birthday. Very busy Saturday night when we arrived a little early for our 7pm reservations. As the other couple that were joining us were stuck in traffic we decided to order a pre dinner cocktail as we could not be seated until our entire party was present. My husband and I ordered four drinks but were scolded by the server to show the other two with us before she could serve us. Not a problem but I did not care for her curt tone. Once our entire party arrived we were seated by the bar. The noise level was a 10 as it was a very busy Saturday night. Our first server that came for drink ser ice was very socially awkward and took 20 min to get cocktail order for the 6 of us. Our next server was very personable and made the rest of our night very plesant. The appetizers were wonderful, along with the salads. Entree steaks were all under cooked but that is normal at a steakhouse. Two of the six of us took our steaks home in leu of sending them back due to doneness. We are looking forward to going back on a night that is not quite as busy as we know that this was not a normal experience due to all the glowing recommendations. Three of us had sweets, including the birthday treat that was presented and they were also very tasty. Cocktail list was great and the clever names were well received by entire group. We were greeted promptly and waited about three minutes until we were shown to our booth. Service was prompt and efficient. The food was excellent but my brussel sprouts and my husbands steak and potatoes au gratin could have been hotter. The manager stopped by our table and showed a sincere interest in us instead of just doing her job. All in all a very enjoyable evening! Great meal as usual. Great service. Always enjoy eating here. It was our 20 year anniversary and our dining experience was spectacular. We found a nice anniversary card on our table when we arrived. The server, Chenell, was excellent. The meal was outstanding. We also received a complementary dessert that was delicious. We will be back soon. Normally we enjoy this restaurant. However, this visit was not enjoyable. Food was not prepared as ordered, waitress forgot to put in beverage order, and didn’t return for 30 minutes to see if we need anything and to ask about our food. Noise level was much higher than I have experienced. Could bare hear the person next to me. Made Reservations for My Boyfriends Birthday. They had a card waiting for him, excellent service, the food was Amazing!! They even did a complimentary desert for him. I think this is my new favorite restaurant. Delightful as always, food wonderful, service was great. My wife had a great birthday dinner. Service from Enisa was absolutely amazing! Thank you all so much! I was disappointed. The food was not as good as it has been in the past. The service was okay, but not the service you expect from a high end restaurant. The food was delicious and the service was great. The reason I only gave it 4 stars was because of the drinks. I had 3 drinks, one was suggested by the server, they were all overpriced for the size of the drinks and the amount of alcohol. It was a perfect night! Our waiter Brice was awesome! The whole staff made our experience the best it could be. The food was perfectly cooked and timed. We enjoyed ourselves so much. We had the crab cake and steak rolls for appetizers. My wife had the lobster bisque and I had the Stoney river salad. We finished with the coffee cured filet Oscar style with the au gratin potatoes. 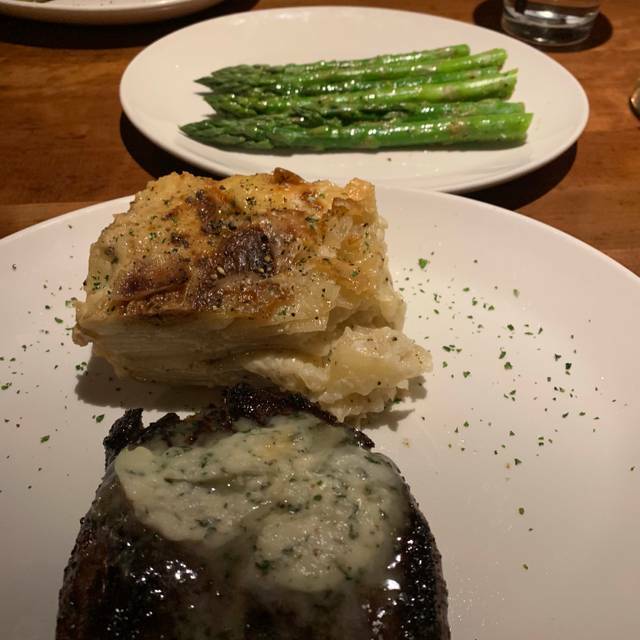 If you are looking for night at a quiet restaurant with high quality food and amazing service Stoney River is the place. Food and service were great as always! They were out of 2 cocktail ingredients needed for 2 of their signature cocktails. Other than that, perfect! Overall wonderful experience and food was amazing! Great steak, great salad. 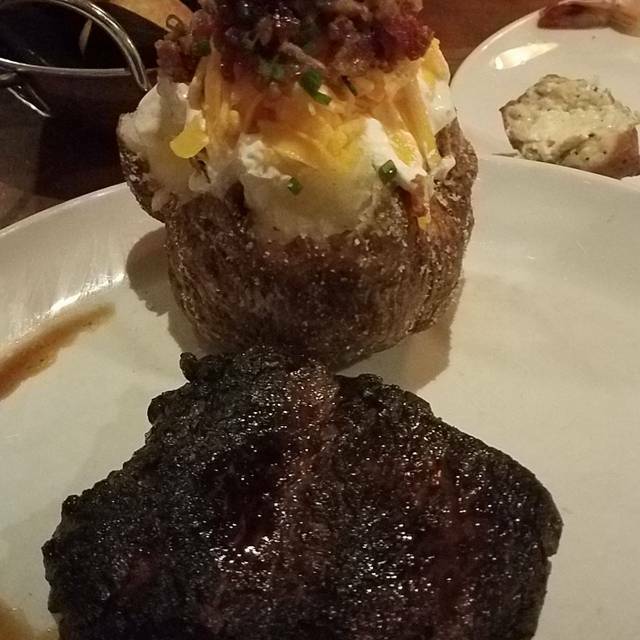 Was very disappointed in the baked potato. It tasted as if it had been microwaved and reheated. Have had many baked potatoes at this restaurant. Hope my next baked potato is much better. Been to Stoney River many times and this was the worst experience . The steak was over seasoned and one was not cooked correctly and appeared to have too much fat. The service was underwhelming (although the front desk was good). I will think twice about going back, especially with price, I expected better. That last couple of times we've been (in March and this week) the food has been a little less than expected. The food is good. the prices are OK. The noise level is high if you get stuck next to the bar. great service too. The service was great, but the food was different this visit. The coffee cured filet wasn’t very flavorful. It wasn’t cooked like we requested either. The green beans weren’t seasoned as usual either. One of our favorite places to dine. Normally a top shelf location to dine. On this occasion it was loud and unorganized. Management made no attempt to moderate behavior. Felt more like a sports bar this Saturday night. 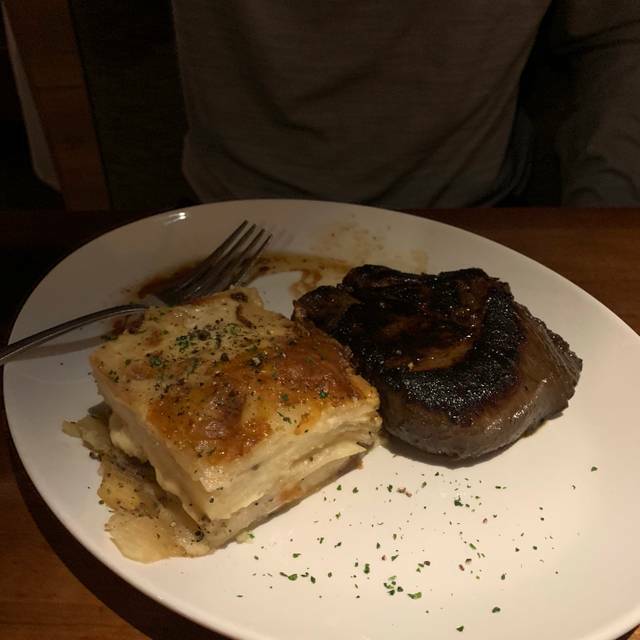 This was our second time at stoney river grill and we were, again, disappointed in the food. So sorry, but I just don't get the hype about this restaurant, especially for the price. 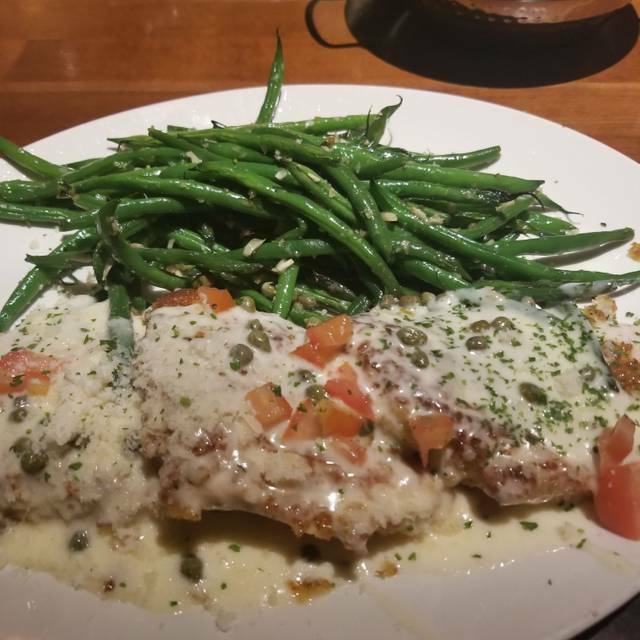 Stoney River continues to be one of our favorite Louisville restaurants. We had a wonderful evening celebrating my husband's birthday with my siblings! The staff had a card at the table and provided a lovely and yummy complementary dessert! All of our food was outstanding - the deviled eggs were amazing as an appetizer, wedge salads fantastic. Or entrees included the petite filet, steak burger, strip steak, and the szechuan salmon. Our Waiter Seth did a fantastic job - he was friendly, helpful, attentive enough and apologetic when the kitchen dishwasher was slow to keep up with demand for glasses. We had a fun night and will definitely be back!! Thanks! As always, dinner here is exceptional. 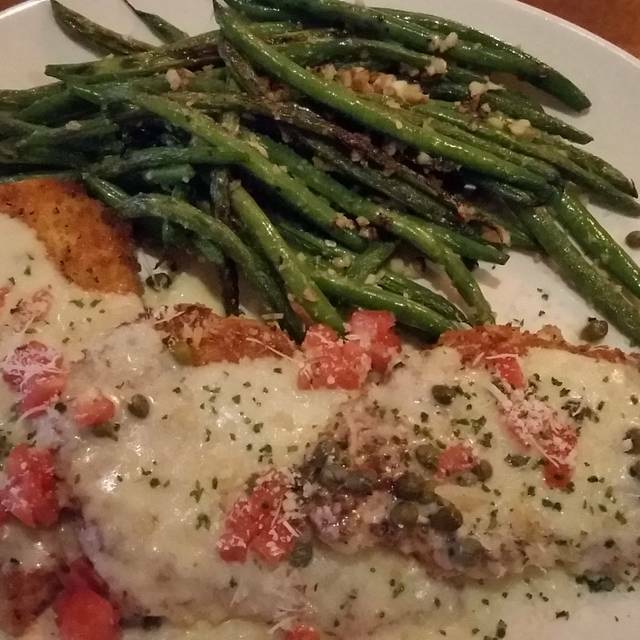 I had the Panko chicken a my husband NY Strip. Although a bit expensive, we are always happy when we leave and looking forward to our next visit. Can’t get enough of the place. Food and service are always great. Coffee cured steak was tender enough to cut with your fork. I would recommend if you have a chance to eat here, you would be crazy to pass it up. We have been coming to your restaurant for about 4 years. 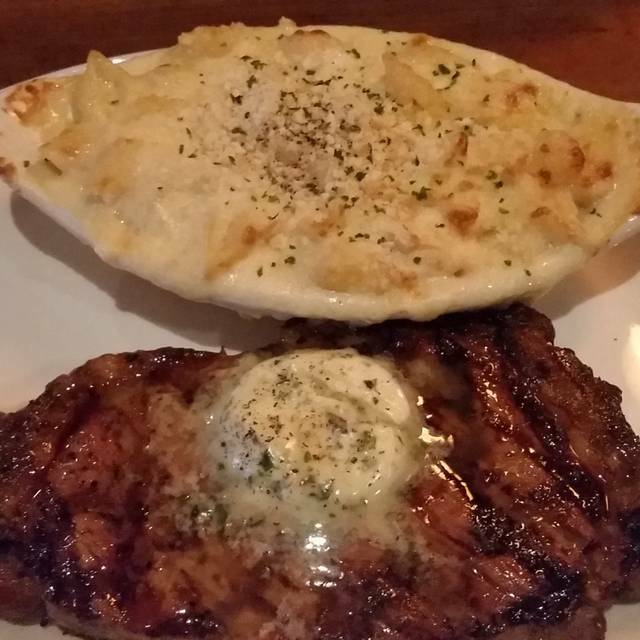 We have always enjoyed your steaks, salads, bread and the staff. Your restaurant was the perfect atmosphere to celebrate our 54th wedding anniversary. We did, however have an issue with the steak. 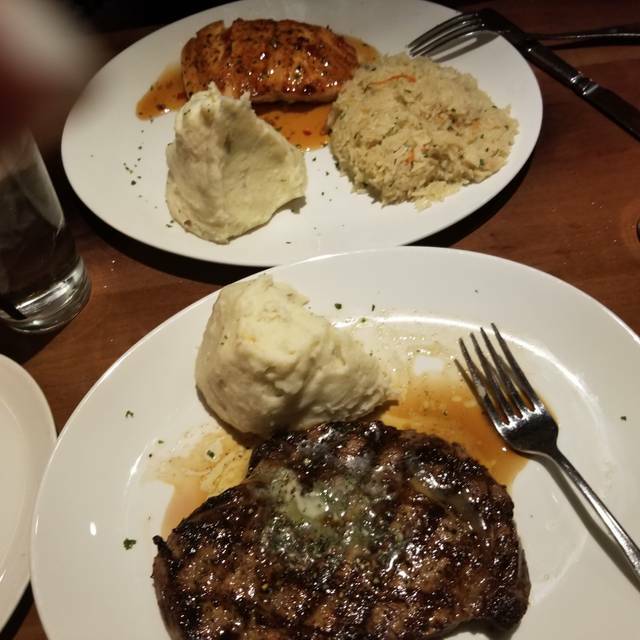 Even though we had never sent any food back in the past, we had no choice but ask for another steak. It tasted very salty. It was as if excessive salt was used to the point that it was uneatable. My wife, who usually applies lots of salt and pepper on her food agreed with me. We called our waitress to our table and immediately she took our steak to replace with another one. While we were waiting a gentleman approached our table. We explained that we had never returned any food in the past. He told us that the steaks are prepared differently than before and that is probably the reason our steak tasted salty. He suggested we specify that we didn't want any salt or pepper on our steak in the future. As before, the service, atmosphere and servers were excellent. We will return to your restaurant this coming September for my wife's birthday. I have been to Stoney River multiple times and I'm never disappointed. The atmosphere is good, the service is top-notch and the food is always amazing. I've never had anything there that wasn't delicious. Huge portions. I had a reservation, but about 5 parties who just walked in were seated before us. The waitress was great. 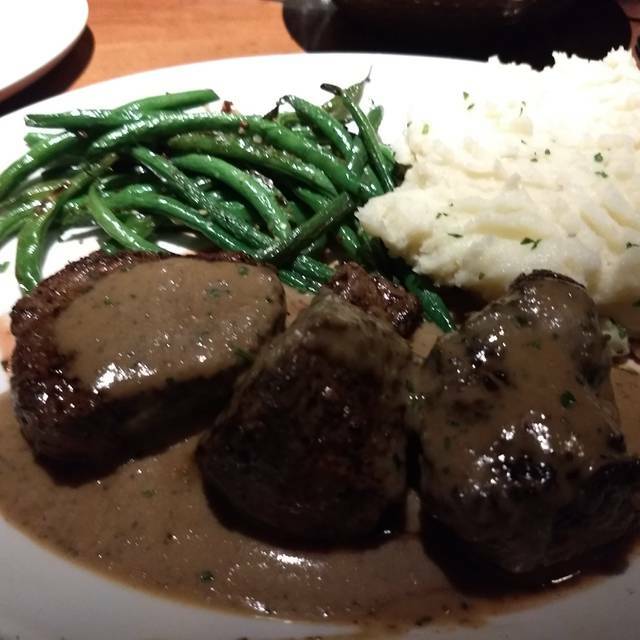 The steak was low quality for the price, it was not tender. I was disappointed since I had such a good recommendation for this restaurant, I would not go back. This was an excellent location for a date or nice meal. Service was excellent, food tasted phenomenal. 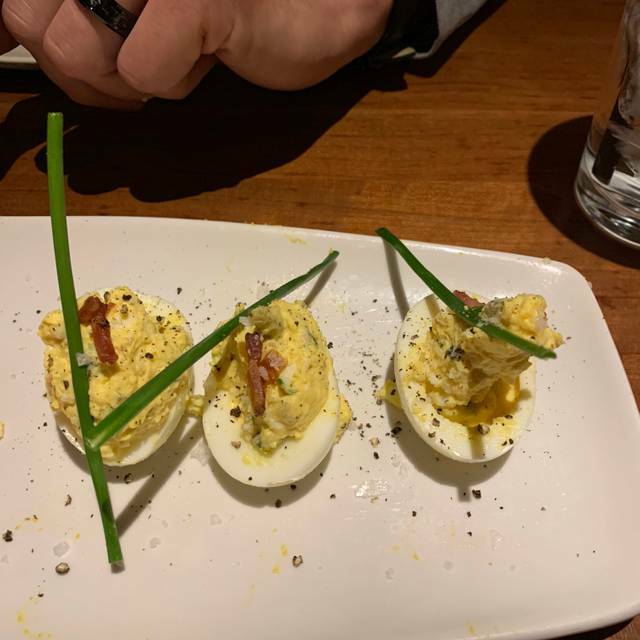 We started with the deviled eggs. My wife had the Hong Kong sea bass. So good! I had the steak and biscuits with fries. Huge portion sizes. The fudge cake was great as well. Highly recommend.